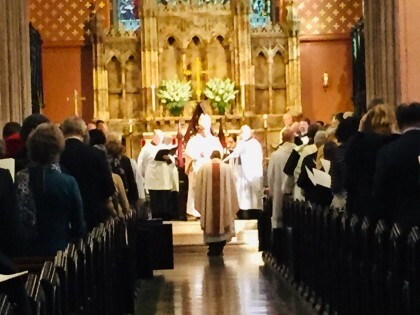 In a service this afternoon at which The Right Reverend Lawrence Provenzano, Bishop of the Episcopal Diocese of Long Island (which includes Brooklyn and Queens, as Long Island geographically does) officiated, The Reverend Doctor Allen Robinson was instituted as the fifteenth rector of Grace Church, which has stood on Hicks Street between Grace Court and Joralemon Street since 1847. The service was attended by many Grace parishioners, as well as by local clergy of many faiths and Episcopal clergy from throughout the Diocese. There was also a delegation from Rev. Robinson’s former church, St. James Lafayette Square in Baltimore, along with The Right Reverend Robert Wright, Episcopal Bishop of Atlanta. Rev. Robinson and his family were warmly welcomed by the congregation. It would be heartening to have the Grace Church community and the other religious institutions to participate in the effort to prevent a six-lane highway tacked onto Brooklyn Heights. As much as I share your sentiments, I have a sense that you are (a) SO VERY inappropriate, and I know that – way too often – attacks of that nature are oblique ways of saying, “I think you’re 180 degrees off-base.” … Not in this 1 case! (b) almost sure to be disappointed. The Episcopals don’t have a tenth of the “baggage” of another major religion, but neither are they “real good” when it comes to social action. … Something about their DNA, so I’m afraid that – with rare exceptions – expectations are best kept REALLY low. Sadly, most likely, Allen will be focusing on what it takes to keep the doors to GC open, and he’ll probably decide (or be told) that “controversy” won’t be helpful. True, to the extent that his congregation knows & cares, few would be “pro-plan,” but it sure sounds to me like you’re barking up the wrong tree. We need Steve Levin & a couple of others to show that they can spot the occasional time when leadership is a MUST. The ground rules change, but he reminds me of machine days gone by … when anybody below Mayor (and not always that personage) waited to hear from ? what position to take. I hate to take issue with commenters, but I’ve been a congregant of Grace Church for many years, and your description of it, and the Episcopal Church in general, is quite wrong. Our new rector has been very outspoken about controversial issues such as the separation of children and parents at our southern border, discrimination on the basis of race, gender, sexual preference or identity, and economic inequality. For some years Grace parishioners have visited and supported El Hogar de Esperanza, a home for homeless children and youth in Honduras. 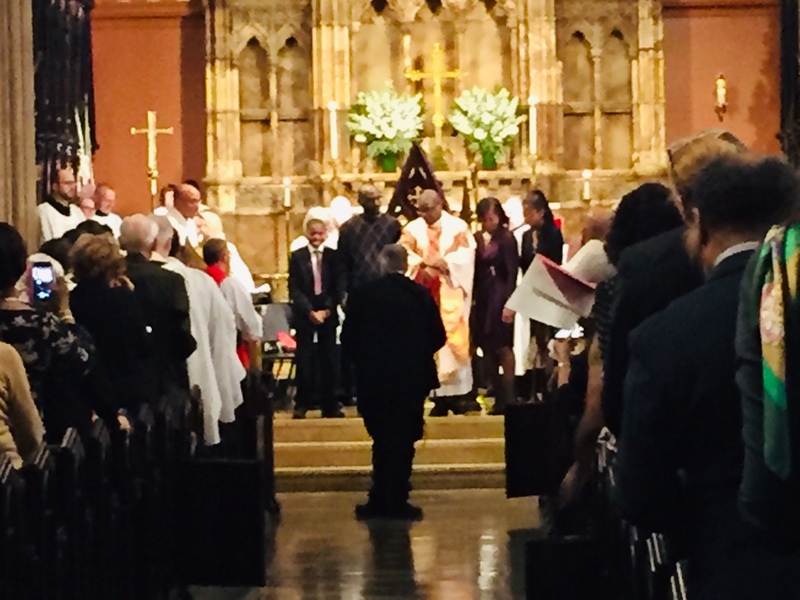 We provide shelter for the homeless on a rotating basis with other congregations, and are active in many other local social justice activities, such as East Brooklyn Congregations, which strives to organize less empowered communities..